Photo courtesy of Vic Compher. 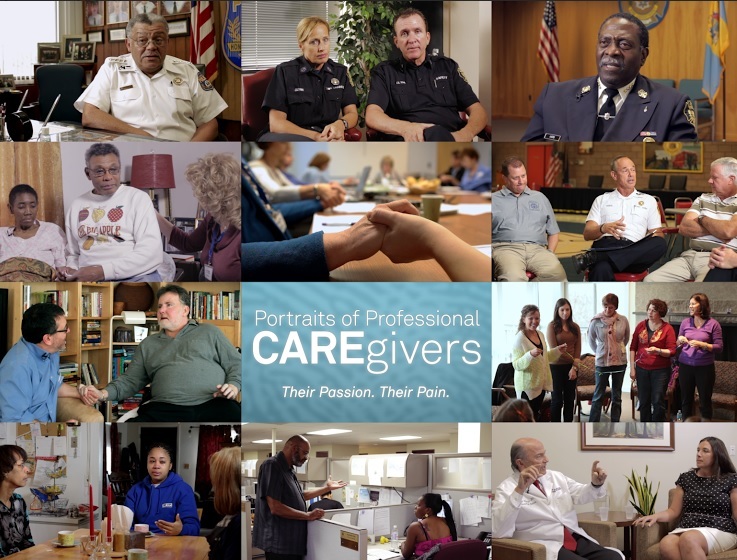 “Caregivers,” a documentary from National Association of Social Workers member Vic Compher that examines “compassionate fatigue” among social workers, doctors, police and other helping professions, will begin hitting theaters in May. The ARTWELL and The Health Federation of Philadelphia will screen the 73-minute film May 5 at 2 p.m. at 100 West Oxford Street in Philadelphia and the Wordsworth organization will show the film on May 9 at 9:50 a.m. at the Hiway Theater in Jenkintown, Pa.
Each screening will be followed by a discussion. Compher, MSW, LCSW, has worked in child and family services, geriatric counseling, and hospice services in Philadelphia for more than 30 years. During his career Compher noticed that many social workers experienced secondary stress, vicarious trauma, and compassion fatigue from working with clients. To learn more about the film, watch the official trailer, and get information on how to contact Vic Compher about a screening visit the “Caregivers” film website. For instance Compher talked about a social worker he interviewed for the film who had a client who was a child of a prostitute. The child’s recollection of their harrowing experiences growing up in a brothel and being sexually abused had a deep, emotional impact on the social worker. 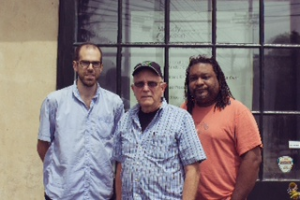 From left, “Caregivers” filmmakers Tim Fryett (videographer, editor), Vic Compher (producer and director), and Rodney Whittenberg (co-producer). Compher also wants social work organizations, including NASW chapters, to screen the film. At the Joseph M. Sanzari Children’s Hospital at Hackensack UMC a program spearheaded by 2 social work supervisors called “First Aid for the Soul” provides an opportunity for staff to acknowledge and manage secondary trauma. I think secondary trauma and compassion fatigue are the chief causes of staff turnover in social work/mental health settings that treat the Seriously Mentally Ill population. For many social workers, seeking counseling for themselves is a wise option for self-care. A better option is for the social worker to understand him/herself enough to know who they can treat successfully without having an abreaction, and have an understanding supervisor who will allow staff members to “opt out” of treating clients who might trigger that kind of acute distress. I wrote to you asking about whether you would have a showing in Kalamazoo, MI.? I received a text by telephone response from I believe it was Ariel, but the text disappeared and I wanted to respond to her. Can you please have her respond to my email address again? For information on screening the film please email Vic Compher, MSW, at vic.compher@gmail.com!